I just love open windows. They make me think of...stay tuned (to Fave #5) for why I love that image so. I’m linking up with Susanne of Living to Tell the Story for Friday’s Fave Five today. Come along with us and post five blessings from your week! 1. Anticipation. There’s lots of good stuff going on this summer, and I’m excited about it. For one, a wedding! Andrew (my third son) and his sweet fiancé are getting married in June and it promises to be a great family time. And I’ll have some news later this month about a novel… And I’m going to a writers conference in early June and am gearing up for that. Oh, there are about eleven days left of school, not counting exams! 3. College boy on his way home! He’ll be home this week, and I can’t wait. I need to do some serious grocery shopping and meal planning this weekend. 4. Boy pics. I love getting pictures on my phone of grandson Aiden. 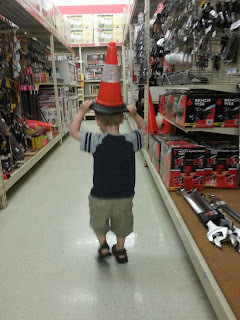 This week, my son, Jonathan, and Aiden were at Tractor Supply and Aiden was walking in front of his dad. My son looked down and when he looked up again, this is what he saw. 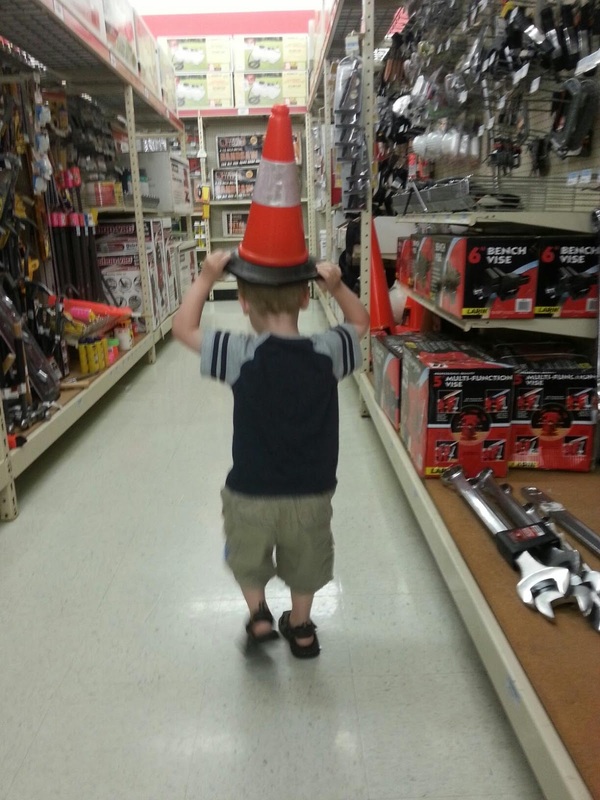 Ah, the spontaneity of childhood! What a boy. And a bonus here…you may have read here that Jonathan and Kristen have been approved to adopt from India, and it’s not an inexpensive process. But the Lord is providing, step by step, and they’ve just acquired enough to go ahead with their home study—another milestone in the journey. You can read about their precious family and their adoption journey here. Why do I love the image of an open window? To me, the word “hope” spring to mind. An open window signifies freedom, escape, newness, anticipation, the future. I love it! I love images of open windows - and doors - too. It makes me think of a bend in the road - you never know what might be out there around the next curve. Sounds like you will have a wonderful summer! You have lot to look forward to - beginning with the one boy coming home from college! I'm looking forward to hearing more about the novel! That photo of Aiden is cute. I also expect a wedding ! My son after 7 years of life together with his girlfriend, a 2 1/2 year old son and a house, is finally getting married in September ! At 40 !! No church but a big party. We don't have to do anything, just be present and yes of course I have to look for a special dress ! Anticipation is a wonderful feeling especially when you have a wedding coming up AND a writer's conference. Your June will be soooo full. Have you learned very many new things from your Dickens book? I have only read a couple of his books, but I have seen many of the books made into movies. My someday reading bucket list is to actually read those books. 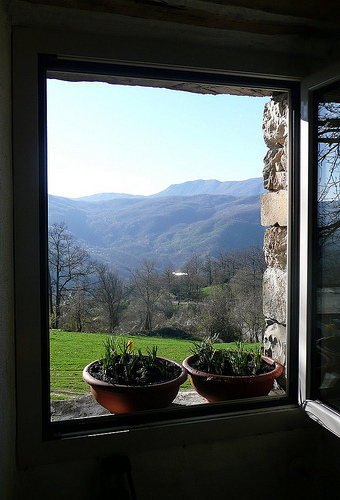 Open windows remind me of fresh air and a fresh take on life. LOVE the photo of your grandson. Made me smile. Thanks for the link to your son and daughter-in-laws blog. It is interesting. As I pray for my India trip, I will pray for them and their child. How exciting for your son and dil to be going through the process to adopt. That is especially close to my heart since my daughter and sil are working through that process with their foster kids. Books are always faves, aren't they? I am totally jealous -- eleven days to freedom?! And lots of wonderfulness to look forward to as well. Congrats to your son and fiance! You've trained your boys well if they know to get you special books that you'd love. Lots of exciting things for you this week! Enjoy every minute of that wedding, they are such precious moments. I'm particularly fond of open windows because they let the outside in to my house, and that's nice!